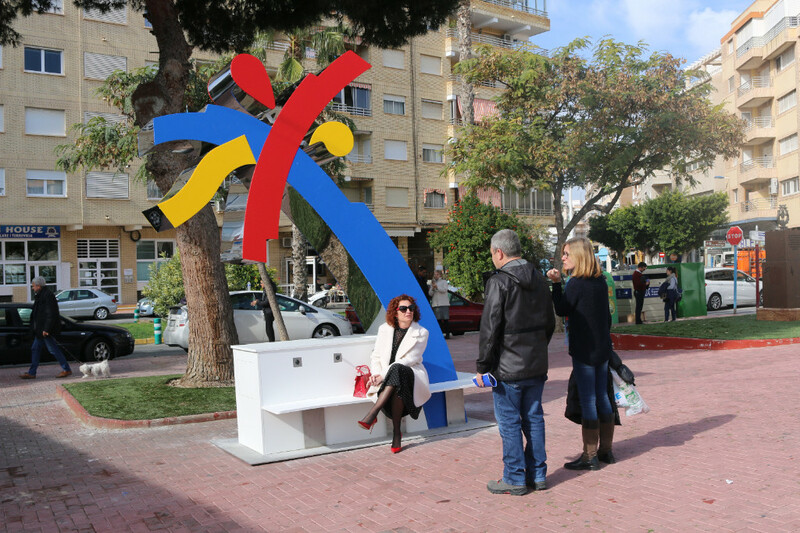 The Councillor for Tourism at the Torrevieja Town Hall, Fanny Serrano, has announced the installation of one charging post for portable electronic devices. A few more will also be installed in Santa Pola, Costa Blanca. At the same time, they will function as a marketing tool for tourist destinations in the Costa Blanca. The palm trees may even be useful to sneak some shade under during the day. Each of the palm trees can support charging for up to eight mobile phone chargers and offers seating. The experimental palm tree has been installed near the bus intercharge located in Eras de la Sal.